There are many environmental activists who assume a certain cause and relationship between active geoengineering programs and those projects that fall under the term of “Solar Radiation Management“ (SRM). This paper will reiterate the basic fallacy of that assumption, and it will direct the reader towards a more comprehensive inquiry of the true nature of the forces and agendas that are likely to be involved. For those that do not wish to engage in the full length of this article, the Solar Radiation Management principle is one of interfering with solar heat transfer to the earth. There are various schemes for accomplishing this which will be discussed later; the most modest of the choices requires the introduction of certain types of particulates into the stratosphere (from about 7 to 30 miles above sea level). The essential problem here is that geoengineering activity as it is currently practiced (and for that matter, bioengineering as well), is operational in the troposphere (from ground level to an average of about 7 miles above sea level), and not the stratosphere. There is a world of difference between the two, but for that discussion you will have to muse yourself further into this paper. Before going further, however, it will be beneficial to provide a brief historical context for the issues and the language involved. There is a track record of controversy and confusion, information and misinformation, official responses and denials, organization and disorganization, research and speculation, and authorities and personalities that now span close to two decades. Unfortunately, the progress of society coming to terms and truthfulness with the deliberate modification of the atmosphere, and ultimately the planet itself, has been slow. So first, a little history of language and personalities. The journalistic rise of the geoengineering issue began, to my best recollection, in the last few weeks of the year 1998. A certain Canadian journalist came to prominence quite rapidly on a nationally syndicated radio show, with coined language and defined agendas to let the world know that something very different and important was to affect the world. It is fair to say that I have never been at ease with either the language or the a priori “agenda” that was introduced, as they always seemed to be supported with substantial fanfare and attention, but without any basic science to support claims being made. The issue was, essentially, outlined and served to the public without proper investigation and discussion. It is worthwhile to investigate that history a bit, as it represents a good portion of why we are where we are today. Most of us may not be aware that generational forces are now at play in our understanding of the geoengineering issue. The language introduced at that time was the use of the term “chemtrail”, a term that never did have a formal, accurate, or scientific definition then, and it still does not today. That deficiency alone has been enough to interfere with the proper investigation of environmental pollution and contaminants, and it remains moderately successful to this day. Whether such language of derision and denial, but of popular appeal, was a product of personal creativity or design of influence I may never be able to state with certainty; I do, however, have my opinions on the matter and I see no benefits from the choice. My separation and disdain for populist and ill-defined terminology that is used in vain to seek legal standing is known, and I shall not be party to perpetuate this dubious origin. Only those words that will stand up in a court of law have merit here, and you are the one that will need to make your case. History will show that there has been an incredible level of success in strategy and influence upon public perception with these implants. They are, however, in reality travesties and injustices to the public cause. What the public was ‘given’, therefore, was an unsubstantiated agenda, ill-defined language of popular attraction, and a host of ready-made and supported ‘detractors’ that raised a commotion, provided distraction and dispute; all of these set the stage to successfully avoid journalistic integrity, scientific investigation, and accountability by public representatives. The obstacles were all provided at little cost, but at great expense to the needs and interests of the public. This strategy of framing public perception and discussion under the guise of potential benefit was generally effective for more than a decade. Hard hitting journalism never did take place, thorough investigations were not launched, scientific work was not supported, and public officials were not held accountable. High, thin “clouds”, including those that originate from an introduced aerosol base, do not cool the planet; they heat it up. The next piece of the puzzle that we must fit into the picture is Edward Teller, and specifically the paper by him entitled, “Global Warming and Ice Ages: Prospects for Physics-Based Modulation of Global Climate Change.” This paper, authored in part by the developer of the hydrogen bomb, is often cited by activists themselves as one of the holy grails that proves that geoengineering operations are in place, and that they are indeed “cooling the planet” and “combating global warming” (albeit covertly, for some unknown reason). There are some important portions of the paper that have not been paid attention to; this omission inappropriately supports a culture of popular belief that lacks scientific foundation. Edward Teller does indeed propose various schemes for cooling the earth’s temperature, including the introduction of aerosols or particulates into the atmosphere. The issue, however, is WHERE in the atmosphere he proposes to do this, and the answer to this question is very relevant to the cause and purpose of this paper. It is even more revealing to point out the additional options that are both proposed and preferred by Edward Teller in his paper, as they help to place his atmospheric aerosol proposal into a better perspective. 1. Into the stratosphere (NOT the troposphere). 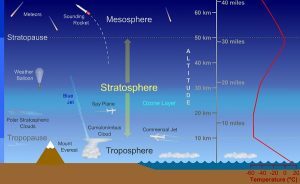 The stratosphere is in the upper atmosphere, and the troposphere is the lower atmosphere. This important difference will be discussed in more detail a little later in this paper. 2. In orbit, in SPACE, approximately 4000 miles above the earth. 3. Deep in SPACE, approximately 400,000 miles from the center of the earth. An obvious pattern of diverting the heat to locations distant from the earth should be apparent to us; it is one that has not been disclosed sufficiently within the current discussions taking place with respect to both geoengineering and climate control. 1. Most of the materials considered will absorb heat. 2. It is desired to have the captured heat radiate into space; not into the earth and its lower atmosphere. The principles of the approach should not be difficult to grasp here, but they most certainly have been misrepresented in most discussions that are taking place with respect to current and active geoengineering (and bioengineering) operations. If you hold a parasol over your head on a hot sunny day, it might keep you cooler. The air around you will still absorb that heat, however. The color and material of the umbrella is going to be another factor (i.e, albedo, specific heat, etc.) that you will want to consider. If you want to cool the planet, you are going to have to move the umbrella a lot further away – into space, for example. This is the essence of the Teller paper, and it is important to understand this proposal before certain terms of “solar radiation management” with respect to current geoengineering practices are bandied about. WHERE the material is injected into the atmosphere makes a big difference on the net heat effect, and this topic has largely been ignored within the popular circles of discussion on geoengineering. This discussion should lead one to think much more deeply about what the definition of geoengineering actually is, and how that definition compares to the realities of the projects and operations AS THEY ARE CURRENTLY AND ACTIVELY PRACTICED. Climate modification strategies, or more appropriately, environmental control strategies, are only one part of a much bigger picture. The Teller paper has gained a lot of mileage in the geoengineering circles, and it is my opinion that much of this mileage is without merit and in ignorance. I must credit the Canadian journalist again for the majority of that progress, as the seed was planted very early in the game with a great deal of supposed ‘alternative media’ support. The Teller paper never explained the physics or consequences of introducing massive amounts of specific aerosol types into the lower atmosphere. The reason for this is simple; the paper was never intended to explain it because this act is not a viable way to cool down the earth. The Teller paper was inappropriately supported and attached to the observation of and media coverage of geoengineering (and bioengineering) operations as they are currently in place and operational. Now let’s discuss some of the differences between the troposphere and the stratosphere in more detail. The distinction between what is real and hypothetical will never take place until we put at least some effort in that direction. The troposphere is where weather is made. The troposphere is where airplanes fly. The troposphere is where the air is more dense and it is where pollution has a more immediate impact upon us. It is the where the majority of the earth’s atmosphere is, and consequently it is where we can breath and live. The troposphere has a profound and immediate impact upon our very existence on this planet. Roughly ¾ of the mass of the entire atmosphere is contained within the troposphere, the average height is about seven miles (a trip to the grocery store), and it is a veritable delicate eggshell of life for this planet. The troposphere is delicate and crucial to all life on this planet, and disturbance or pollution within it threatens our very existence. It cannot sustain serious damage without immediate consequence. The stratosphere is where the air is very thin, centering closer to an average height of 20 miles above the earth. Airplanes cannot and do not fly there regularly, as there is not enough air to support them; only specialized or high performance aircraft will rarely be able to visit this transitional zone to space. Geoengineering (and bioengineering) operations, in a practical aviation sense with current technology, cannot be practiced there. Teller makes mention of these very difficulties in his paper and it is quite clear that the preferred target for his ideas is generally in space, where the heat can feasibly be diverted or managed AWAY from the earth. Readers may also to review an interview from several years past on this and related subjects; it is available via Freedom For All TV which is based in Canada (“Freedom Free For All TV: Clifford Carnicom Interview – YouTube” 2016). It is now that we can understand a portion of the dilemma that is before us. If we accept that aviation is a primary tool that is actively being used to artificially modify the atmosphere, then we know that this is occurring within the troposphere, and not the stratosphere. But we also know, at least as based upon Teller’s models, that stratospheric operations would be required to effect any type of global climate change. Teller also lets us know that long term climate control by aircraft is hardly a preferred method, as it requires specialized performance aircraft and requires continual renewal to maintain its effectiveness. What is known, therefore, is that geoengineering (and bioengineering) operations AS THEY ARE NOW PRACTICED IN THE LOWER ATMOSPHERE, i.e., the troposphere, are not directed and motivated primarily toward climate control, including the purported mitigation of “global warming”. The forces behind the implementation of active and current geoengineering operations have always understood this, and it never has been a logical motive for the current operations. This is the case regardless of popular conceptions with popular appeal that have been circulated for far too long without contest. It is certainly past time for the citizens of the world to understand this as well, including many of the well intended environmental individuals and organizations that affect this same citizenry. The language may have changed some over the recent decades, but the confusion and obfuscation remains as strong as ever now. It is past time to play the cards straight and to force each of us to confront the truths of the matter. We must now pay some attention to the language that is now in vogue and how it changes. The terms of ‘chemtrails’ and ‘global warming’ were foisted upon us in earlier days; aerosols and particulates were always favored from my position, but those terms do not exactly have popular twitter appeal. They do, however, remain valid and accurate as far as the substance of the matter. We have transitioned now to more socially acceptable terms of climate change, geoengineering, and “solar radiation management”. Unfortunately, the confusion behind the terms remains as dysfunctional as ever. We can be assured that the definition of geoengineering (and bioengineering) as I understand them, are not at all in agreement with many popularly held notions of that same term. Environmental modification and control is simply one small slice of the bigger pie, as far as I am concerned. I will reiterate my scope of consideration for the term near the end of this paper. We should, however, at least seek out the definition of the popular term (by many environmental activists as well) “Solar Radiation Management”. This term refers to the management of climate control issues through a modification of the earth’s heat balance; only one option of which includes the introduction of particulate matter into the stratosphere (NOT the troposphere). Again, I will make the case here that the term cannot and does not apply to current and active geoengineering (and bioengineering) operations as they are currently practiced in the lower atmosphere (troposphere). The stratosphere is not the troposphere, and the troposphere is not the stratosphere. The physics of each layer within the atmosphere are completely different from one another and they cannot, in general, be “used” for the same purposes. You cannot talk about them or treat them as though there is no difference of importance. You cannot rely on methods and definitions that have physical principles, meaning and application within a certain domain (i.e, the stratosphere) and then use those same methods and principles for a different domain (i.e., the troposphere). To further assume that the practitioners of active geoengineering (and bioengineering) operations are active within the stratosphere when they are not (as determined by direct observation) further undermines the case for protest of the actual modification of the lower atmosphere (i.e., the troposphere) that is taking place. Talk about misrepresentation and obfuscation of a global environmental and health issue; there is plenty of fodder to work with here. To claim further that the motives of the geoengineering practitioners are beneficial and well-intended (i.e, “solar radiation management and the curtailment of “global warming”) but that the operations are now known to actually cause harm because of a net heating effect is equally misguided. The operations as they are practiced are not an experiment of beneficent intent; the developers understand the physics and the applications quite well (within their sphere of interest). Rest assured that the web of deployment is not centered on, or confined to, the principles of “Solar Radiation Management”. Current operations directly impact and affect the lower atmosphere (troposphere) in which we all live and breathe; this assertion is now supported directly by field measurements. The particulate counts are real and observable, and they have been made. The measurements referred to are not worthy solely of “climate control” consideration; they are, however, of immediate impact and detriment to your health and well-being. Gravity works, and the materials do ultimately reach ground level and they are measurable in direct correspondence to activity levels. You may wish to think a little closer to home, in some respects, and become active on that front. Incidentally, attention should probably be called to a particular segment of a particular interview from several years past; my recollection is that a Mr. George Knapp from the Coast to Coast network moderated the affair. It is another part of the social history, “alternative” media, and social impressionability that precedes us. You may or may not choose to investigate the affair as I report it here. “There is not! There is not! I repeat there is not any evidence of biological operations available!” (to my best recollection). The response was immediate, emphatic and unqualified. The show’s host then immediately switched to a commercial break after this statement was made. You may judge for yourself what dynamics transpired at that moment, but the forceful response certainly struck me as out of balance within a purported discussion of important environmental issues. In the time made available, I refuted the unsubstantiated claim then. I refute it now as well. 1. Environmental modification and control (of broader scope than global temperature issues). The prime-time audience may not be ready for the realities and implications of the various aspects itemized above, but they are ultimately deserving. There are parties that continue to promulgate the thesis that Solar Radiation Management, i.e., the attempted mitigation of “global warming” via stratospheric modification is at the crux of active geoengineering operations. There frequently remains the implication that the motives for operation are of good intention even if the observations of consequence contradict that claim. The use of Edward Teller’s paper is frequently cited as the basis for the implementation of theoretical concepts into actual operation, regardless of the physics or details involved. There are seldom, if ever, references to differences between the impact of operations in the troposphere (lower atmosphere) vs. the stratosphere (upper atmosphere). There frequently is the assumption that the agendas of operation are known and defined by popular perceptions. For close to two decades, the evidence does not support these claims and misrepresentation is in place. I would encourage that each of us seek common ground and understanding of the forces and applications that are likely operative within the spheres of active and practiced geoengineering (and bioengineering) operations. There is some value in review and observation of the social history and assumptions that accompany our evolution in the pursuit of truth. It is also wise to force good science and reason continuously into our deliberations and debates, and to admit our mistakes so that we may rise above them. If information, analyses and representations are inconsistent we must each be willing to confront those positions. I believe that the phrase has already been coined for us – “The Truth is Out There”, and it is the job of each one of us to help find it. Readers may also wish to become familiar with a model document that proposes an international ban on geoengineering (and bioengineering) practices. Please refer to StopGlobalGeoengineering.org for additional information(“Global Ban on Geoengineering – Stop Global Geoengineering” 2016). “Clouds & Radiation Fact Sheet : Feature Articles.” 2016. Accessed March 24.http://earthobservatory.nasa.gov/Features/Clouds/. “Freedom Free For All TV: Clifford Carnicom Interview – YouTube.” 2016. Accessed April 6. https://www.youtube.com/watch?v=Z1islqA3QNo. “Geoengineering the Climate: Science, Governance and Uncertainty | Royal Society.” 2016. Accessed March 29.https://royalsociety.org/topics-policy/publications/2009/geoengineering-climate/. “Global Ban on Geoengineering – Stop Global Geoengineering.” 2016. Accessed April 6.http://stopglobalgeoengineering.org/global-ban-on-geoengineering/. 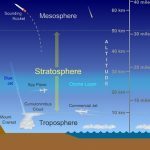 “Image: The Stratosphere – Overview | UCAR Center for Science Education.” 2016. Accessed March 29. “The Stratosphere – Overview | UCAR Center for Science Education.” 2016. Accessed April 6.http://scied.ucar.edu/shortcontent/stratosphere-overview. “The Troposphere – Overview | UCAR Center for Science Education.” 2016. Accessed April 6.http://scied.ucar.edu/shortcontent/troposphere-overview. CLICK HERE TO LEARN MORE & DONATE - UK contributors can also win their very own orgone accumulator! The only way you will stop this is to stop voting for the corrupt corporations calling themselves a government. Take your names off the electoral roll, refuse to pay council tax and tv licence and above all do not vote. For more information go to http://www.thefreemancommunitytrust.co.uk. Find out how the corporation running this country has already declared you dead. Understanding the difference between Stratosphere and Troposphere is the key to understand and expose the geoengineering scam. In addition to that the conditions in the sublayers of the Troposphere and the water physics need to be known. Explaining this all in a easier understandable way I would like to propose following articles. Explaining sublimation and desublimation (deposition). Explaining chemtrails as a result of aerozolation and desublimation!